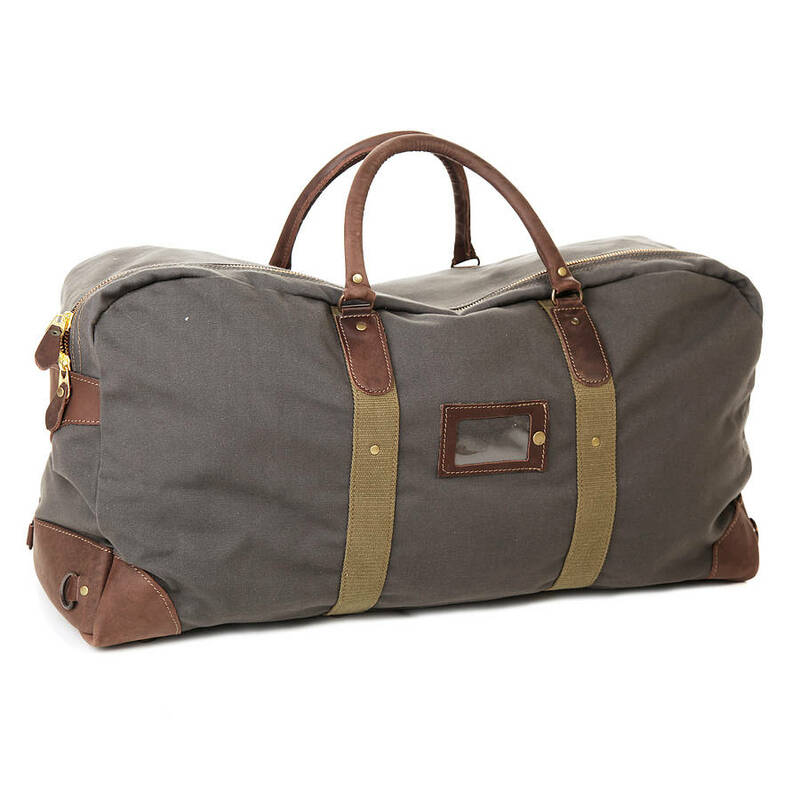 The Pilot holdall is an authentic reproduction of an original RAF pilot bag from the 1950's. 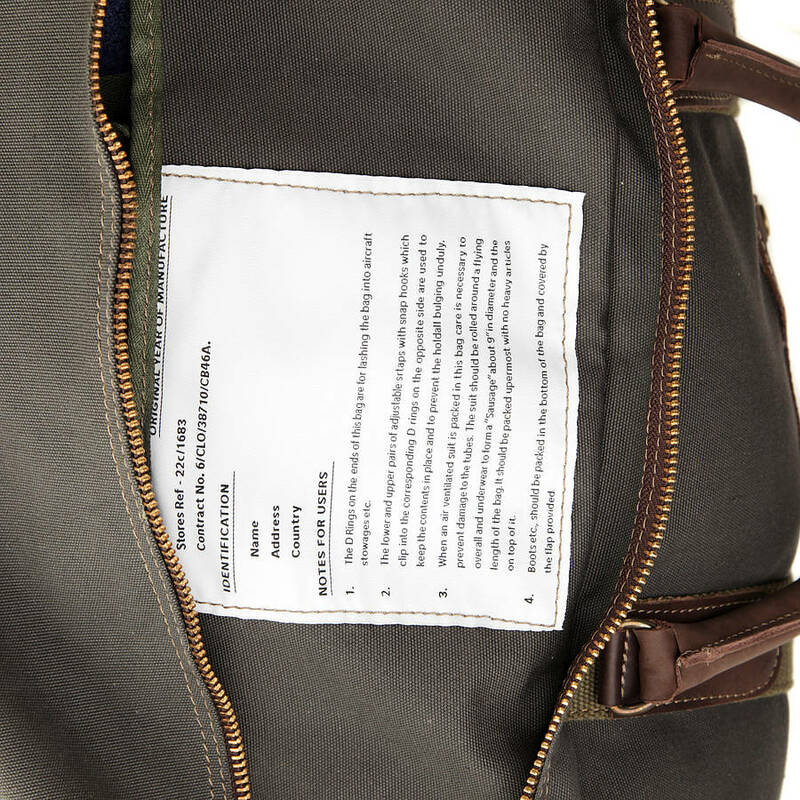 The bag contains all the original features of the 1950s bag including an internal label which tells you how to pack your flying suit. 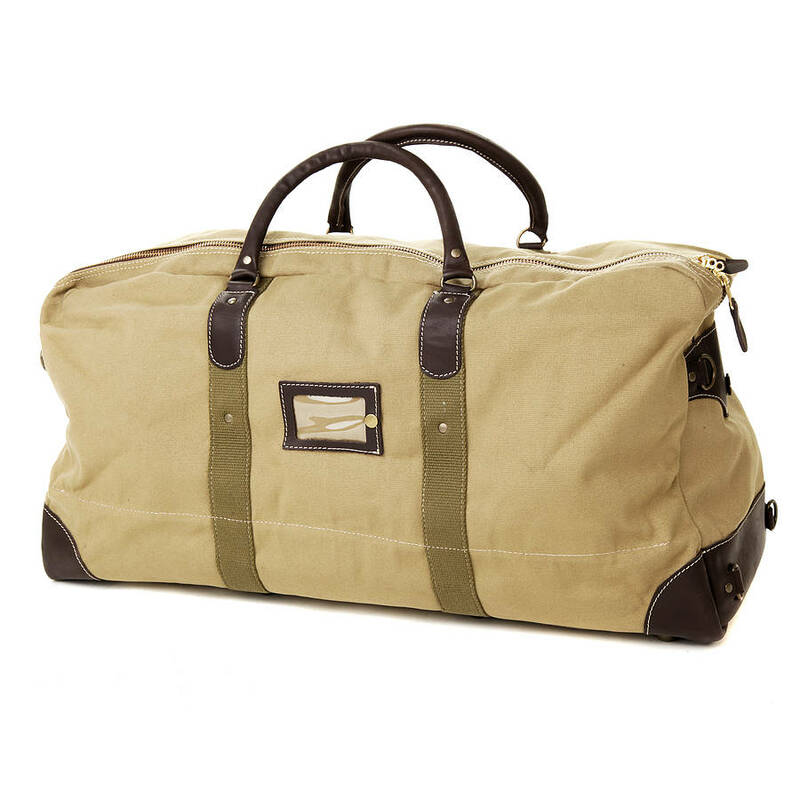 With ample room to pack all your clothes for a weekend the RAF bag is made from 510g heavy cotton canvas and has leather trim in a rich oxblood colour. 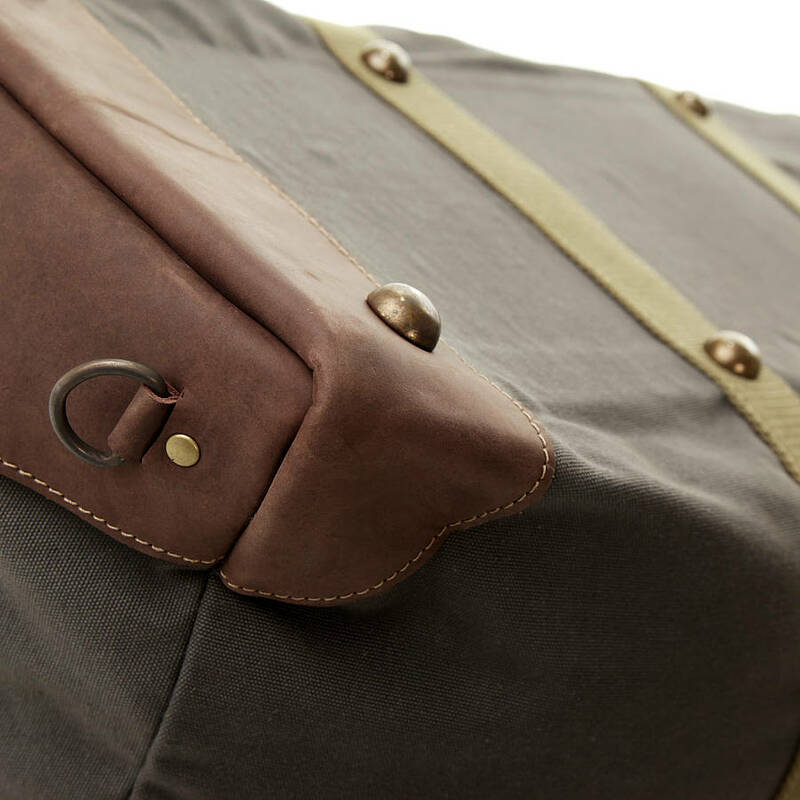 Complete with heavy duty lockable brass zips and a leather address pouch on one side, it is a stunning addition to our range. The perfect bag for the traveller who needs a heavy duty luggage option but wthout the fomality of a case. 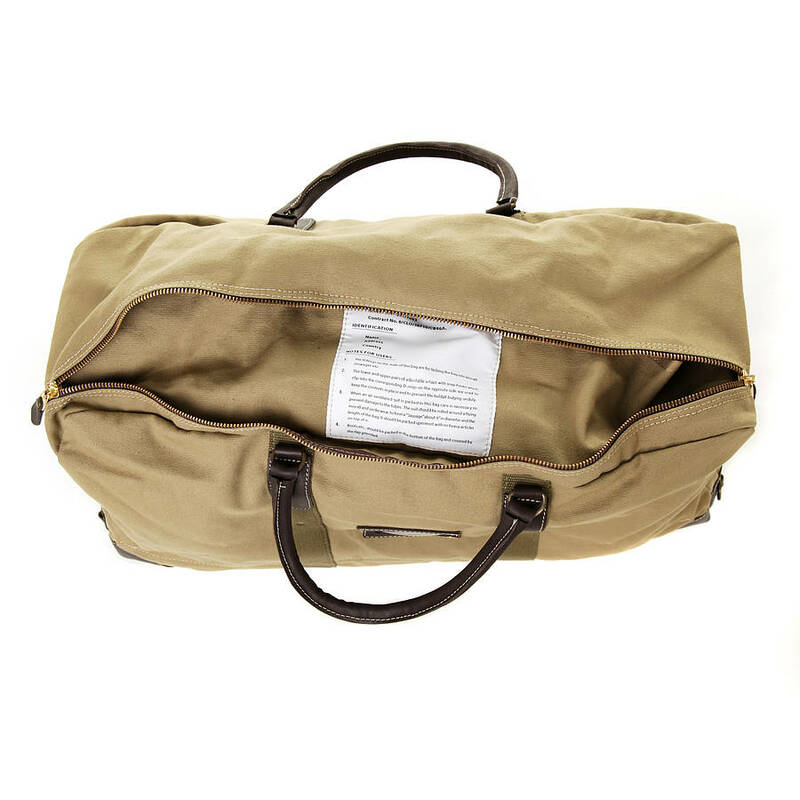 The bag also includes tie down D-rings on the outside for lashing down in a plane or car for stowage and inside has snap hooks for securing clothes and to stop them moving around. 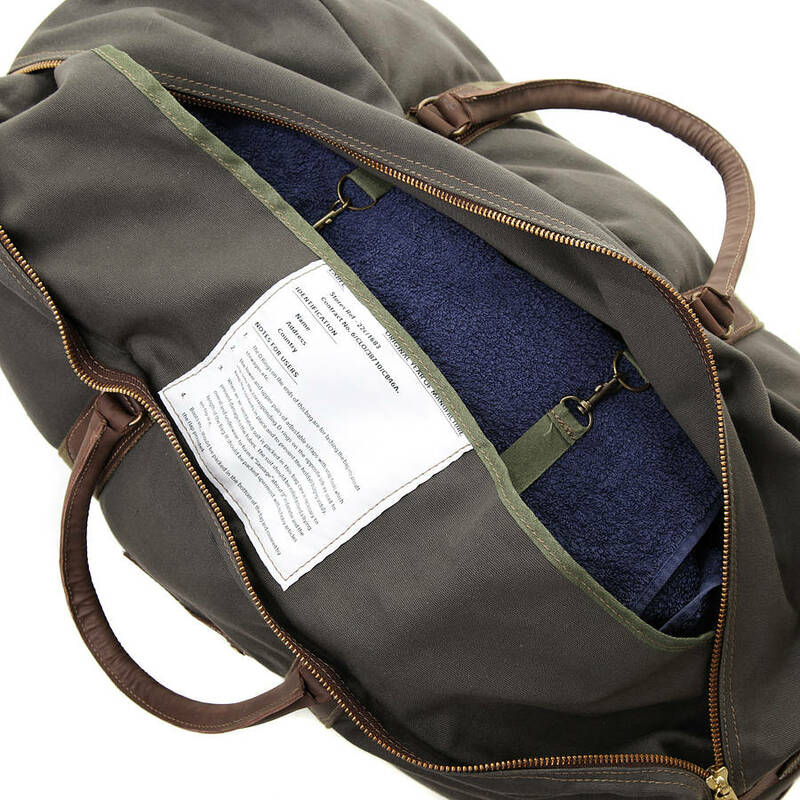 The bottom of the bag has a section for shoes and boots with a canvas cover to keep them separate from clothing. Finally there is a canvas flap that goes over all of the bags contents right under the zip preventing clothes from getting caught in the zip area. 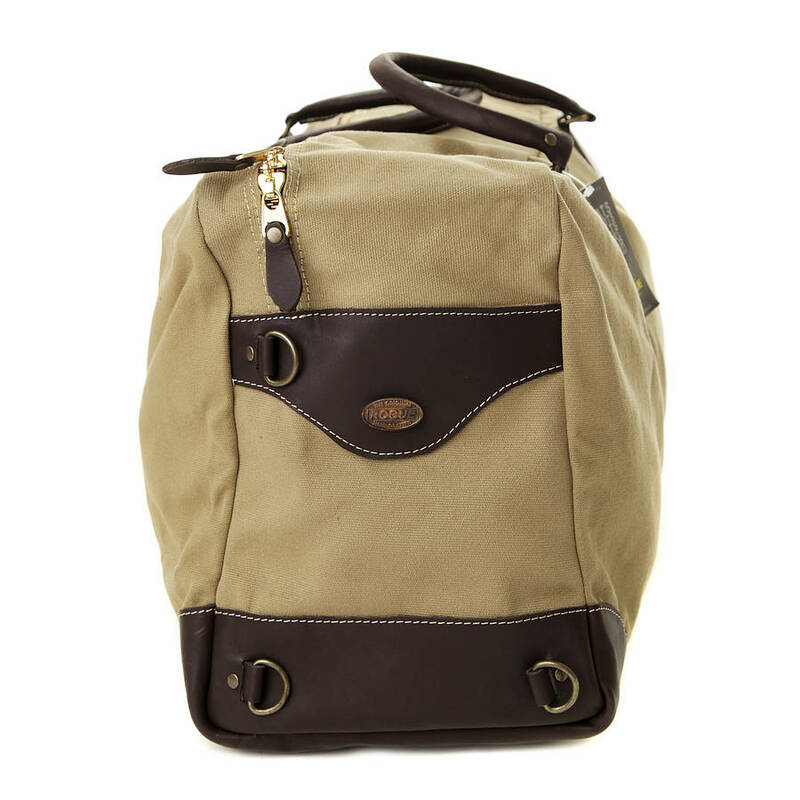 The bag does not include a shoulder strap. Available in RAF grey and sand colourways. A fantastic bag and a great gift for any man for birthdays or Father's Day. 510g cotton canvas with leather detailing.